When my patients and I discuss whether dental implants are right for them, it is important for me to get the full picture of their oral and medical health. I want to be sure that I know all the variables that may impact the success of the dental implant procedure, which, in the vast majority of cases, is very successful. Even so, it is important for me to know any challenges that may affect the outcome, like bruxism. Bruxism is teeth clenching or grinding during sleep. Most people do this from time to time, and such occasional clenching or grinding does little or no harm. But if teeth clenching or grinding occurs regularly, teeth may get damaged and other complications can also arise. While teeth clenching or grinding might be caused by stress and anxiety, they are just as likely to be caused by an abnormal bite or missing or crooked teeth. They can also be caused by sleep disorders, such as a sleep apnea. Bruxism may reveal itself with such symptoms as headaches and teeth and/or jaw pain. Since clenching or grinding can cause damage to the teeth, it is important to have this condition inspected, particularly if there is already concern about wear on the teeth. One of the strategies to manage the effect of bruxism is the use of an oral appliance to protect teeth. Bruxism is a potential risk factor for dental implants. The success of the dental implant procedure depends on osseointegration, the process by which tissue from the jawbone fuses with the dental implant. It is a gradual process, usually taking several months. 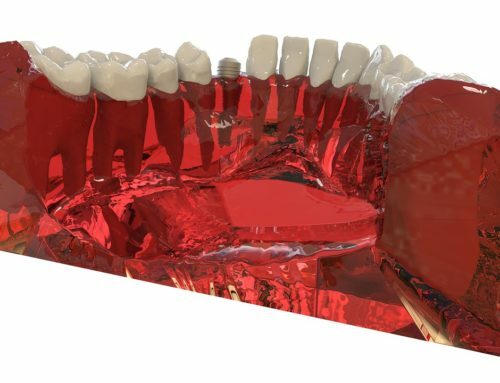 While this fusion occurs, it is important to avoid placing the teeth under excessive pressure. Consequently, bruxism may increase the risk of dental implant failure if a patient repeatedly grinds or clenches his or her teeth while recovering from the first stage of dental implant treatment, preventing successful osseointegration. Since the medical literature is not conclusive about bruxism’s impact on dental implants, your Bala Cynwyd dental implant specialist does not see any reason to be unduly alarmed. As long as the health and strength of a patient’s gums and jaw have not been severely compromised by bruxism, then the dental implant procedure can still be a success. However, patients may want to take certain precautions to avoid teeth grinding and clenching. For most people, a custom fit mouth guard worn while they sleep is enough to keep bruxism under control. Mouth stretching and relaxation techniques can also be beneficial for avoiding this harmful habit.